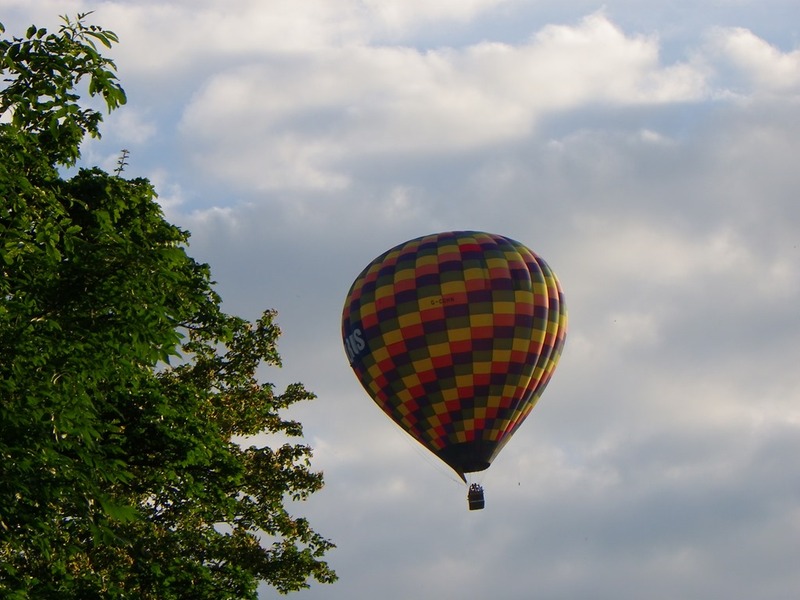 There can be little doubt that the Summer months provide a rich backdrop to outdoor activities throughout England. 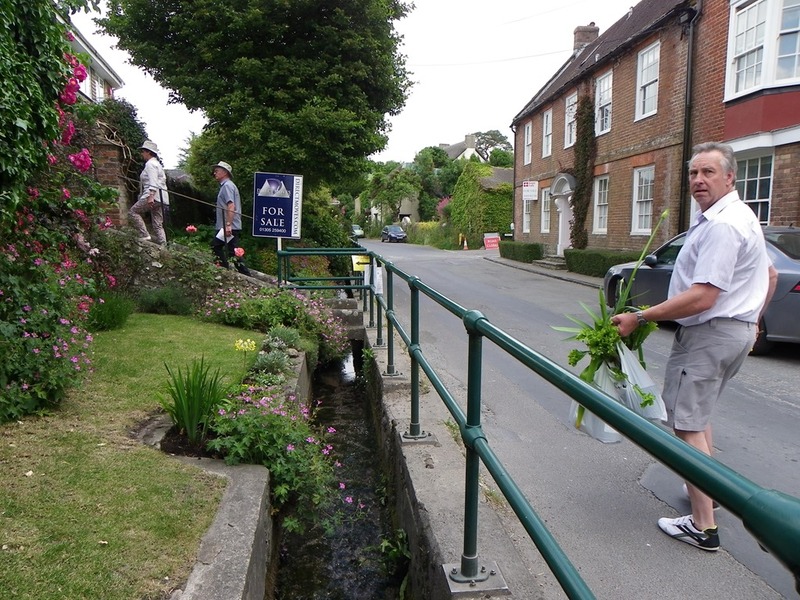 Most of this activity s not centred around the more grandiose sporting event like Ascot Week which tends to cater for the well heeled and shod but in the variety of village events. Fetes, dog shows, gymkhanas and a host of other local festivities which normally take place during the months of June and July. 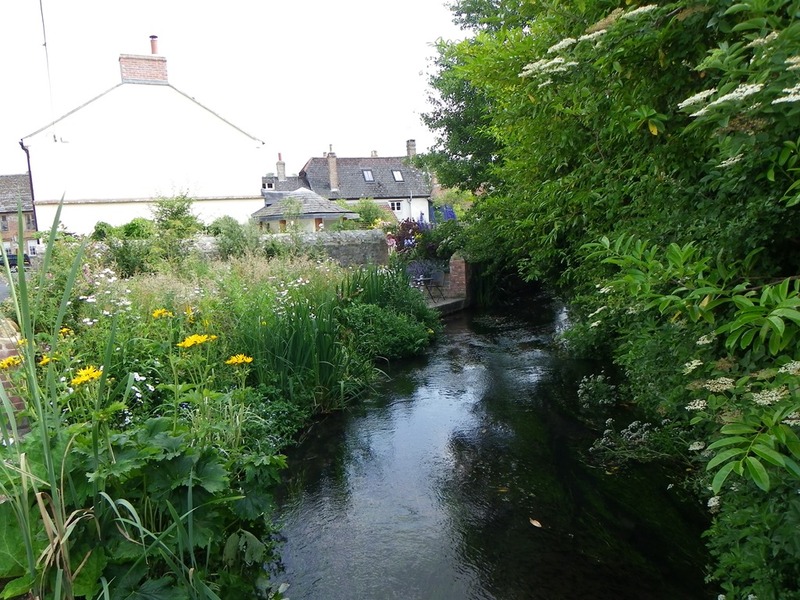 Living close to the Somerset/Dorset border it is inevitable I will frequently venture into my bordering county. 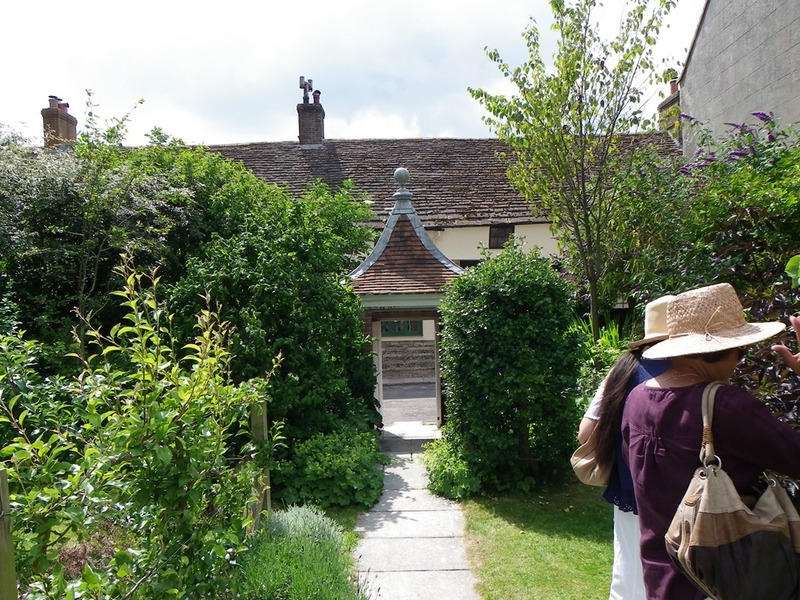 Yesterday I went to one such event in the village of Cerne Abbas in Dorset located in the Cerne Valley. 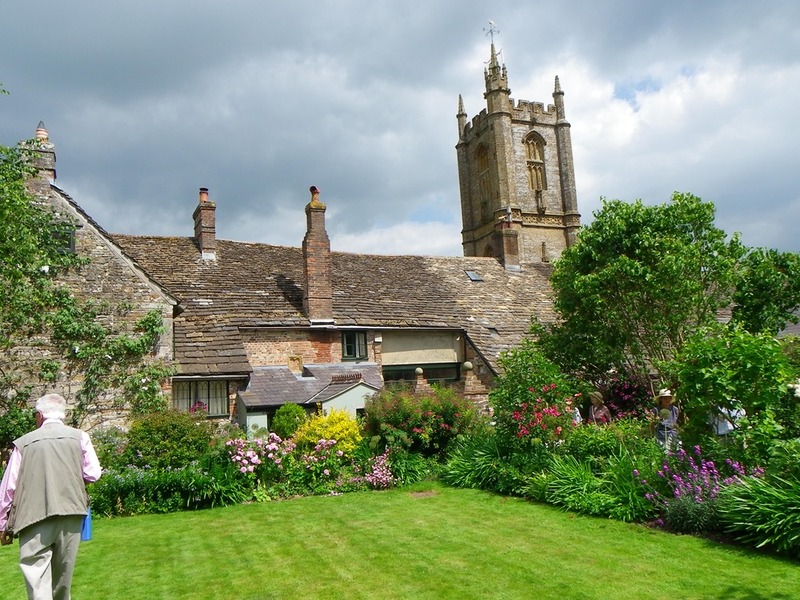 The Cerne Valley nestled in the Dorset Downs is a narrow winding, lush green valley running directly north of Dorchester towards the ancient town of Sherborne. 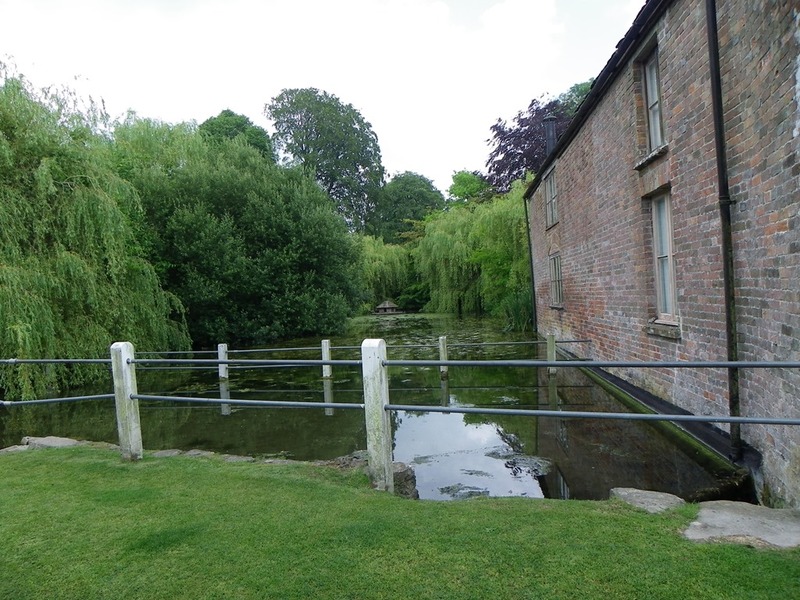 The head of the valley being near the village of Middlemarsh and is steeped in history despite its relatively sparse population. At one time settled by the Vikings during the Dark Ages. 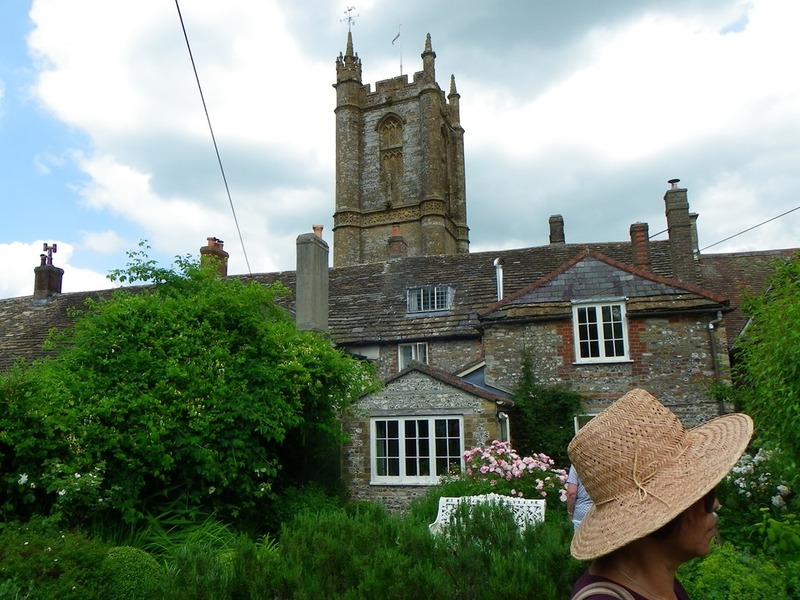 in AD 987 a great Benedictine Abbey was established in the valley around which grew the pretty village of Cerne Abbas. 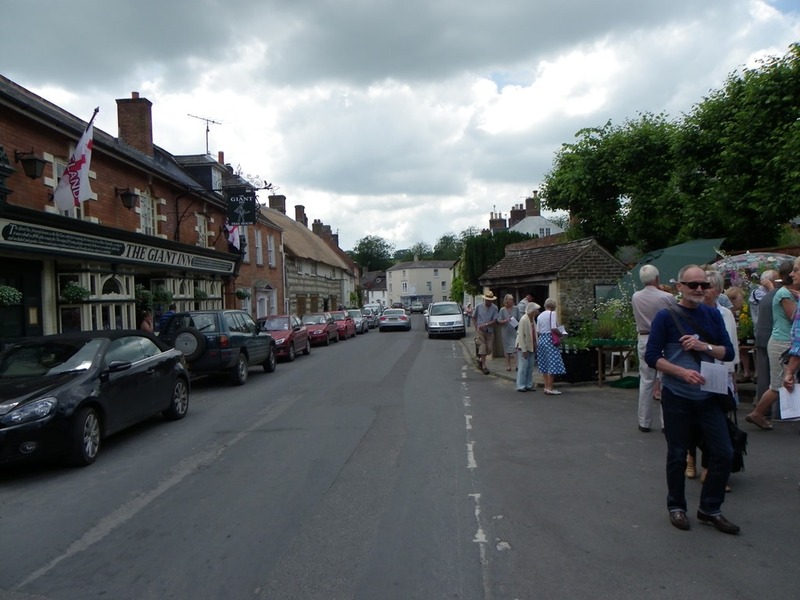 Cerne Abbas is something of a chocolate box picture village attracting coachloads of tourists in the days prior to mass car ownership. 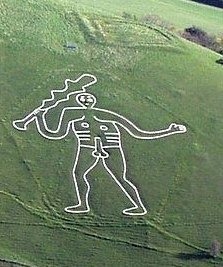 It is also famous for the figure of the Cerne Giant cut into the adjacent steep chalk hillside. There is much speculation as to the age of the giant as to whether it is Celtic, Roman or much later in origin. Whatever the truth there can be little doubt that this huge warlike figure brandishing a club was designed as a fertility symbol. Local stories still abound of young maidens wishing to ensure a future family visiting this icon on mid-summer’s day. 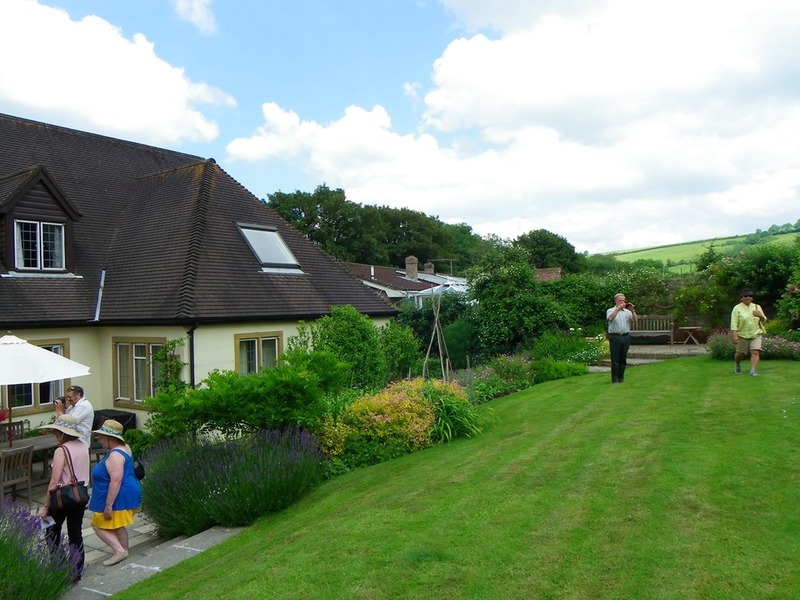 It was also mid-summer’s day that I visited Cerne Abbas for its annual open gardens exhibition. 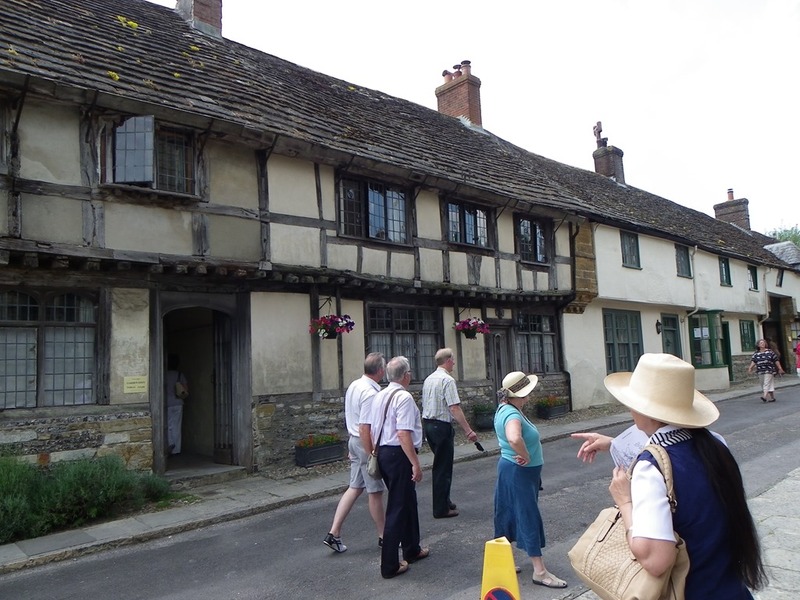 Except for access to a free car park, the village is closed to through traffic for the day allowing visitors to safely wander the streets. 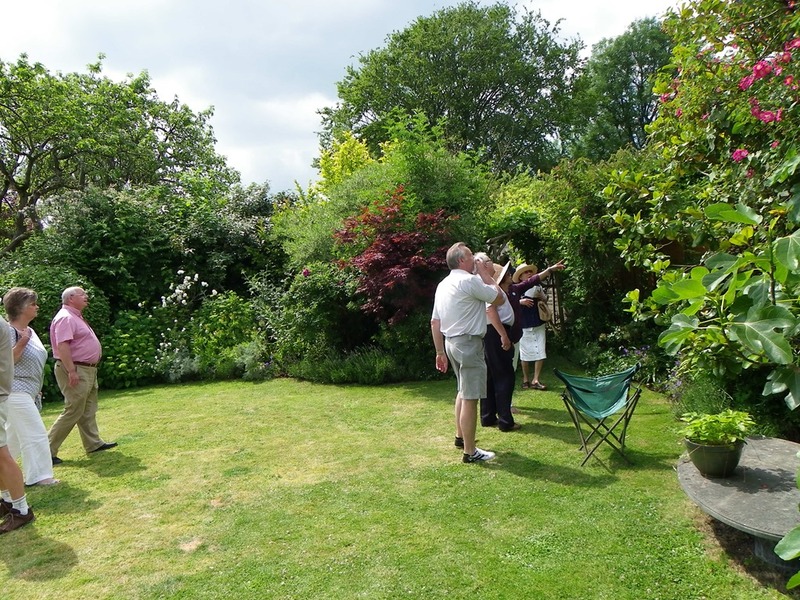 Residents of 29 properties within the village threw open their gardens to public view with the local church of St Mary providing a cream teas on the lawn service. 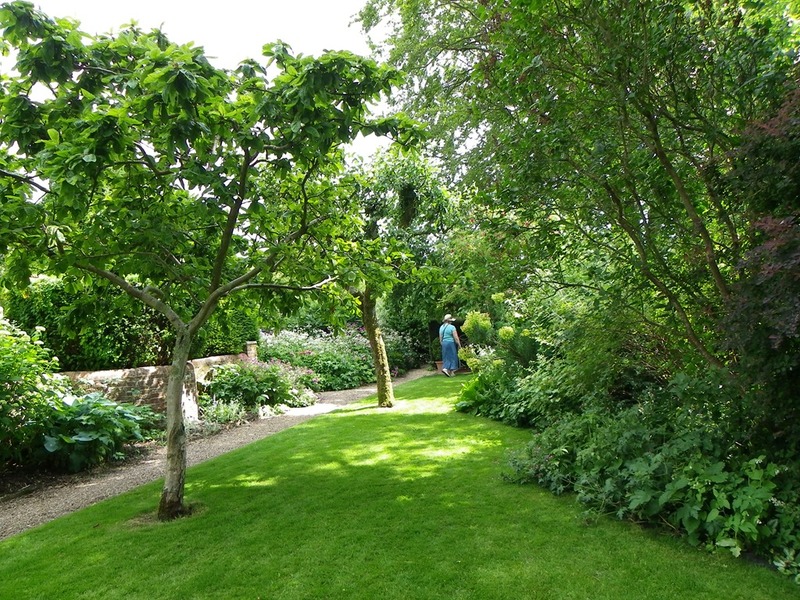 One modest fee secured access to all gardens and monies raised are used in local good causes. 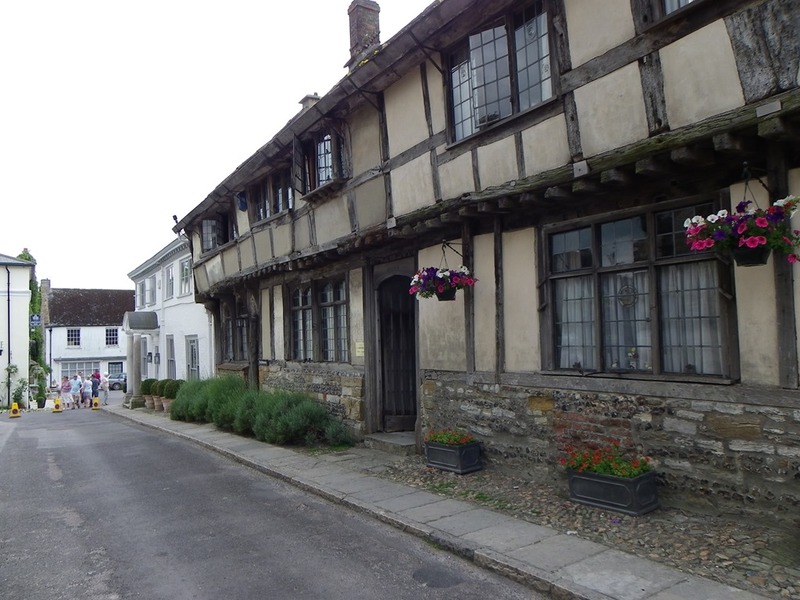 Many of the buildings are heritage listed to protect both the buildings and the village from untoward development. 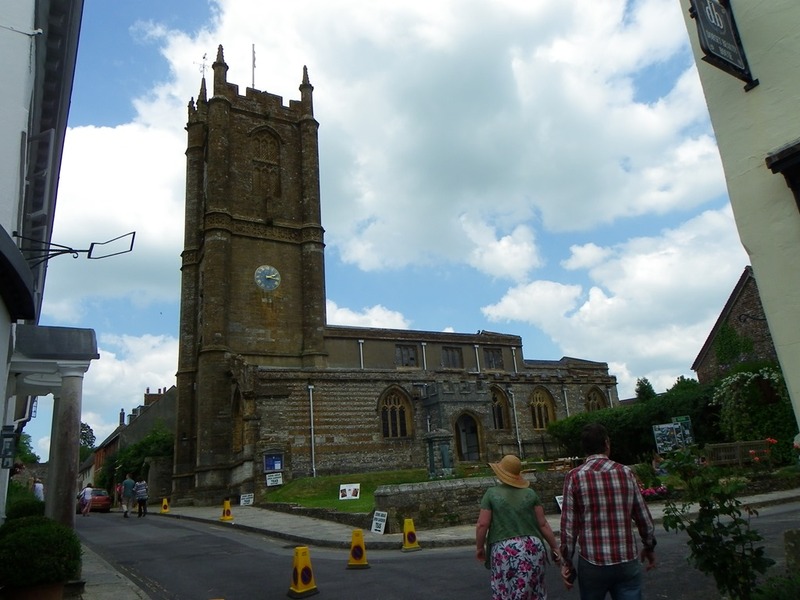 The spire of the church dominates the local landscape.. 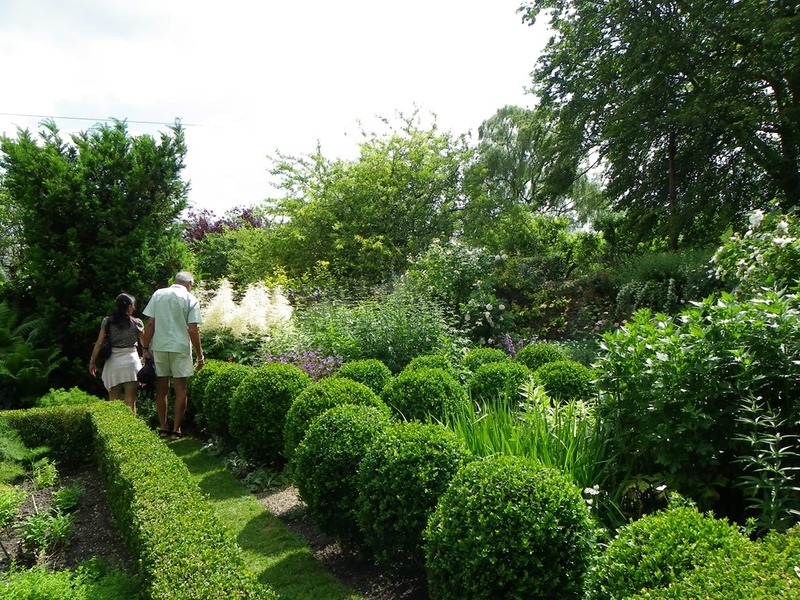 Accompanied with a group of friends, my wife and I found it a pleasant is not slightly tiring afternoon wandering other peoples gardens. 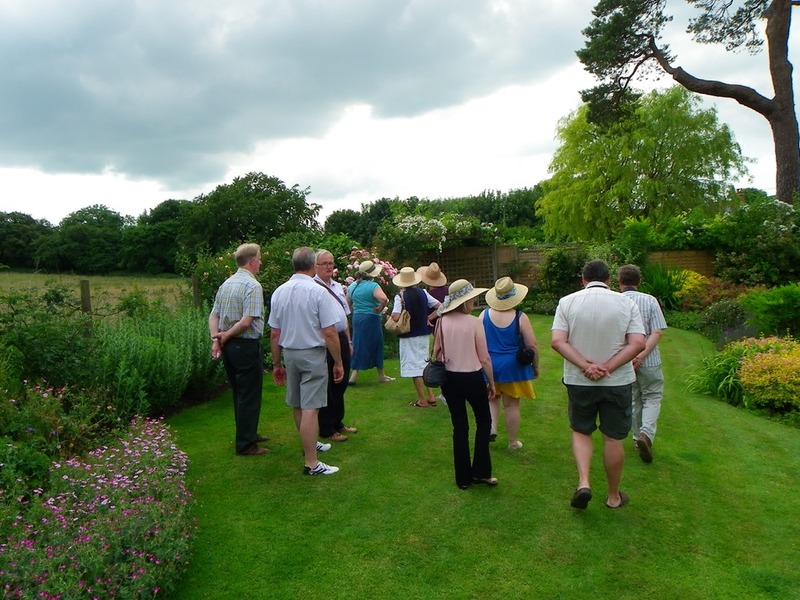 It was a good way of gaining ideas and inspiration for what may be possible in ones own garden. 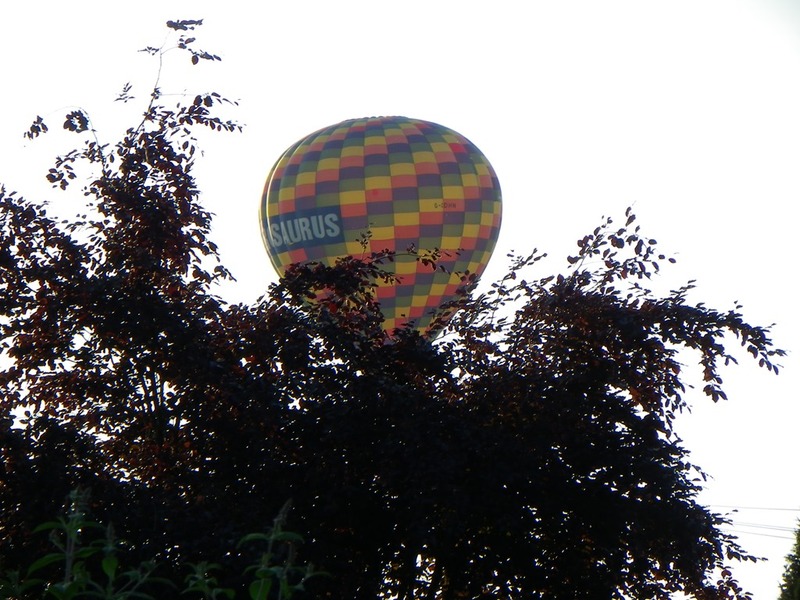 On returning to friends who live close to the Cerne Valley to enjoy an evening barbeque, silently like some leviathan from a Space Odyssey, the billowing canopy of a hot-air balloon suddenly and unexpectedly came drifting across the tree tops. You never know what you are going to see next in the country. 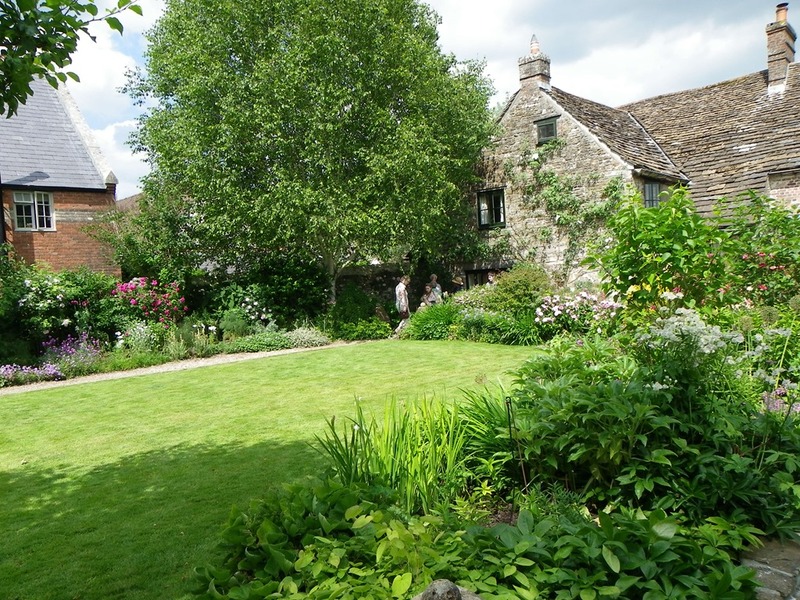 I have added some views of the village and gardens below.